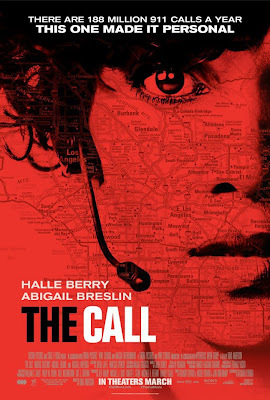 Halle Berry and Abigail Breslin star in The Call, a movie about a 911 operator who takes a call from a kidnapped girl and does everything she can to save her. Director Brad Anderson has a resume filled with thrillers and horror movies like Transsiberian and The Machinist and he throws all the standard tricks into his newest effort. 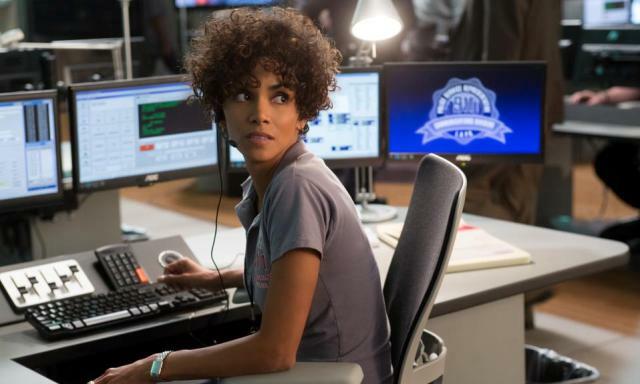 Jordan Turner (Berry) has had a long career as a 911 operator, but when a random call goes horribly wrong, she chooses a safer path and becomes a teacher in the department's training program. After six months of teaching new hires to do the job she can no longer bring herself to do, she finds herself thrown back into a very familiar situation. As Casey Welson (Breslin) leaves the mall after a day of shopping with her friend, her exit is suddenly interrupted by a man who has some drastically different plans for the teenage girl. After stowing her in the trunk of his car and hitting the highway, the kidnapper heads for an unknown destination, but he isn't aware of a cell phone that was stowed away in her back pocket. Using the device to call 911 for help, she is connected to Miss Turner who, after losing in a similar situation, is determined to see the that girl is returned home safely. 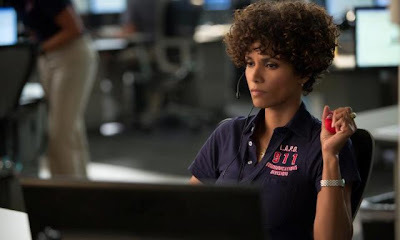 Over the last couple decades, Halle Berry has continued to be her unbelievably beautiful self although the movies she's chosen to be in during that time have been across the board from absolutely brilliant to downright ugly. While this movie doesn't come anywhere near to either extreme, it does lean towards being one of the better pictures she's been a part of. As a vehicle for her continued star power, it definitely does the job, but what I didn't expect was for The Call to be one of the more intense thrillers I've seen for some time. Sure, you could easily pick apart the story as the standard terrible decisions are made by the characters, but its all done for the sake of keeping the movie going. Sure, one of the females is going to walk down the darkened hallway towards imminent danger rather than running outside and calling for help, but you really won't care because the shock value more than makes up for any shortcomings. There are a few scenes in this movie that toe the line between edgy thriller and flat out horror while earning its R rating with ease. 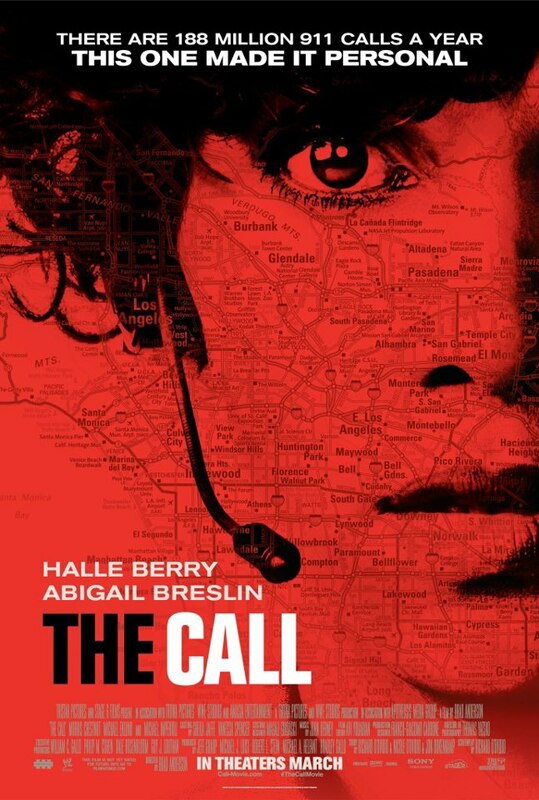 While I wouldn't put The Call anywhere near the caliber of similarly themed movies like Silence of the Lambs or Se7en, it will remind you of them and has a lot of similar characteristics. One of the things I love about watching movies in the theater is the shared experience you get and the reactions everyone has to things like unexpected scares, unintentional laughs, or the inevitable triumphant victories. Fortunately, this picture has plenty of those to go around and it will have you on the edge of your seat with lots of crazy surprises before its all over. Too much violence against a young woman. Its scarey to think that there really are lunatics out there that do these types of things.